Sign up for our newsletter to be kept up to date with news about the 2016 show. In the meantime, have a look below to see what the 2015 SWCS offered! All of the course providers at the South West Canoe Show are based in the region as they know it's one of the best places to paddle in the country and offers pretty much all they need to provide you with the best experience available. If you are learning to paddle, gaining your coaching qualifications or are just looking for some guidance we can easily recommend any of these exhibitors. Talk to one of their representatives for more information. Inspiring Adventure is a Devon based company run by a team of friendly, highly experienced and qualified outdoor professionals. We specialise in providing high quality canoe and kayak courses, coaching, tuition and guiding in the UK and abroad. These courses range from bespoke one to one days, to one week skill development options. We use modern and dynamic coaching techniques to enhance your personal performance and widen your experience within the outdoor environment. One of the directors of our team is Gary Peverill, who is a BCU Level 5 Canoe Coach with many years of canoe and kayak coach education and technical development experience. Our aim is to give each of our clients a personal, high quality, safe and enjoyable adventure experience. We are a UK based canoe and kayak coaching company who work all across the United Kingdom and worldwide. Headed up by managing director Darren Joy. Fluidskills delivers high quality kayak and canoe courses using only recognised and established coaches most suited to the coaching you require. We offer a range of canoe and kayak courses, from National Governing Body awards, bespoke courses and guided canoe and kayak trips, all to suit your Paddlesports needs. Sea Kayak Devon are based in Dartmouth, South Devon, and thanks to this amazingly varied section of coast we are able to offer a large selection of kayaking trips on the south coast of Devon. From tranquil estuaries with steep wooded sides to spectacular sea cliffs and remote rocky headlands, there is something here for everyone. Haven Banks Outdoor Educat ion Centre, the South West’s premiere Outdoor Education & Training facility. Based in the heart of Exeter on Exeter’s historic canal & quayside, the Centre offers an unrivalled purpose built outdoor activity and training centre in one of the most picturesque areas Devon’s County City. The Centre & staff have an unswerving commitment to ensure all aspects of your visit meet the highest standards of safety and enjoyment, in turn, providing the very best possible learning experience. 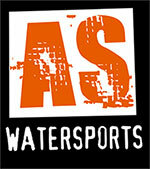 SKS is a kayak tour operator, sea kayak coaching and rental centre based at South Sands in Salcombe, South Devon. Ben and his team have a great range of courses and trips for you in a beautiful location. Don’t forget Bo’s beach café in the old boat house, a brilliant spot for an after paddle coffee and cake.